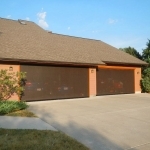 Our Roller Screens are the strongest screens on the market. 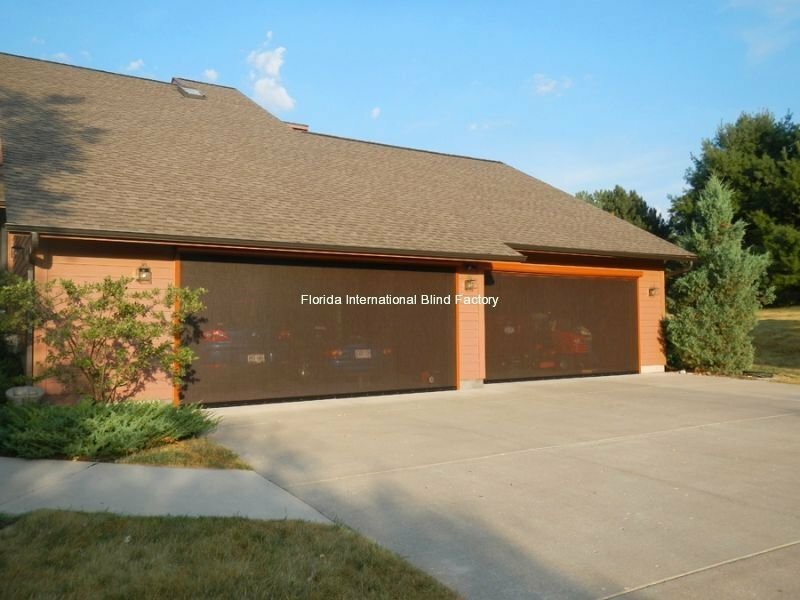 Not only can they withstand hurricane winds of up to 65 miles, but they are also highly functional and can secure large areas from bugs and rain. All Roller Screens can either be used with a sturdy removable hand crank or they can be motorized. For those who prefer to have both, that can be done as well. Twtichell’s Solar Screen is a durable and tough TEXTILENE® brand synthetic fabric made of PVC coated polyester. 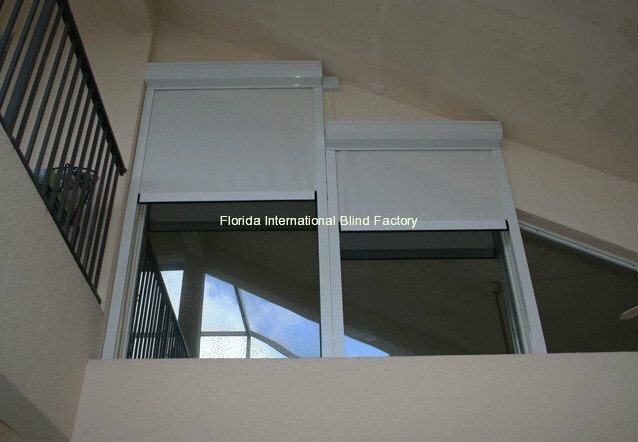 Designed to reduce heat transfer through windows, this fabric also reduces the glare and harmful rays from the sun. 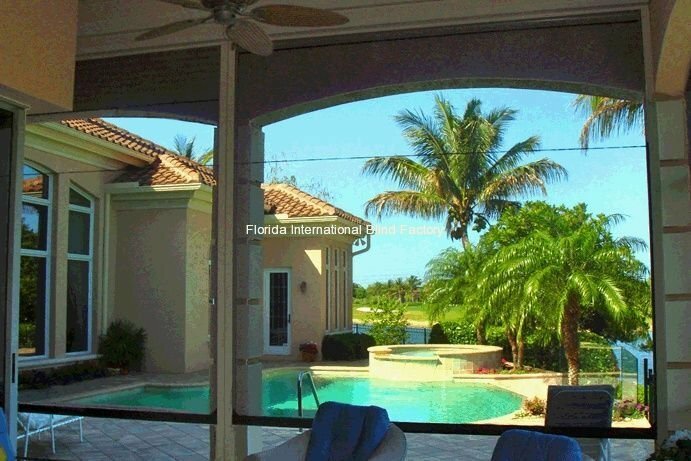 While blocking the sun’s rays, Solar Screen will reduce energy cost and provide protection to your indoor furnishings. 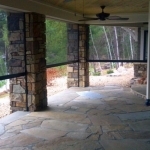 Flame resistant and fade resistant, Solar Screen is a durable alternative for insect screen. 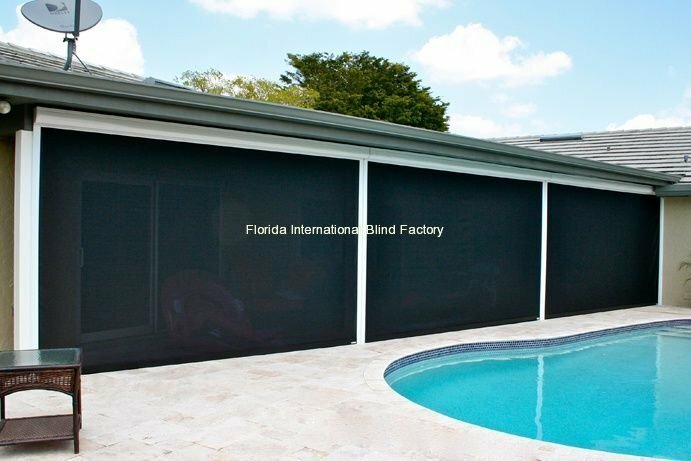 Excellent for daytime privacy without blocking the view, this versatile fabric will endure years of outdoor use. TEXTILENE® 80,90 &95 Solar Screen blocks up to 80 or 90% of the sun’s rays. Twtichell’s Solar Screen is a durable and tough TEXTILENE® brand synthetic fabric made of PVC coated polyester. 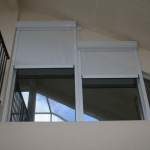 Designed to reduce heat transfer through windows, this fabric also reduces the glare and harmful rays from the sun. 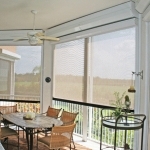 While blocking the sun’s rays, Solar Screen will reduce energy cost and provide protection to your indoor furnishings. 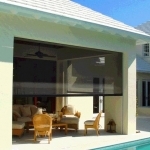 Flame resistant and fade resistant, Solar Screen is a durable alternative for insect screen. 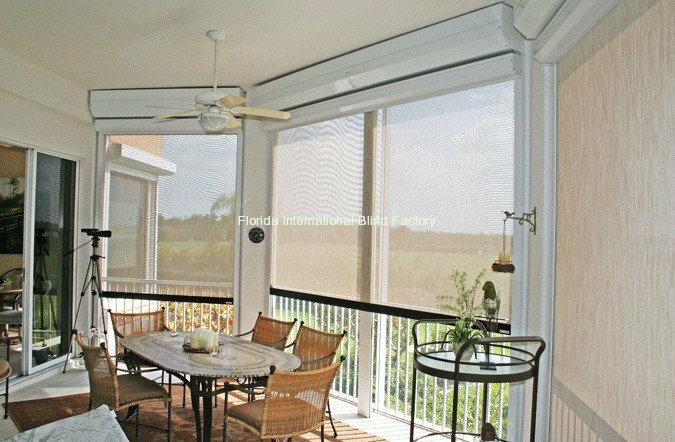 Excellent for daytime privacy without blocking the view, this versatile fabric will endure years of outdoor use. TEXTILENE® 80,90 &95 Solar Screen blocks up to 95% of the sun’s rays. MERMET’S “fabrics for life” begin with EVERYDAY LIFE in mind, whether at home, in the office, hospitality or healthcare. Our state-of-the-art weaving process creates designer fabrics which function beautifully to maintain the view while efficiently managing the effects of the sun. Mermet offers over 200 fabric options for interior and exterior applications, ranging from transparent, to translucent, to blackout. 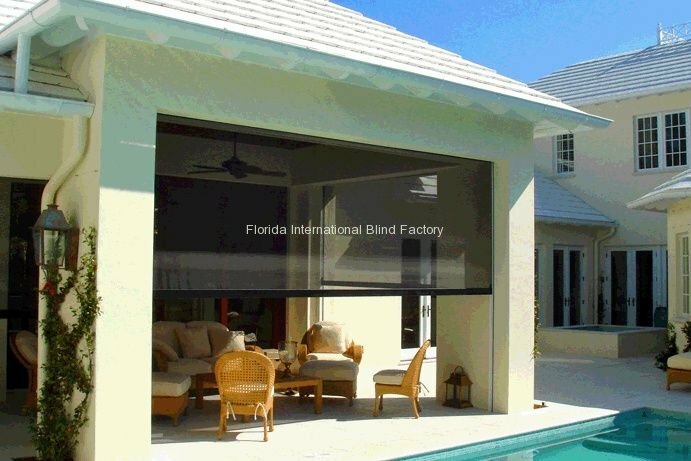 A variety of openness factors from 0% to 14% offer varying degrees of privacy, view-through, glare control and heat protection. 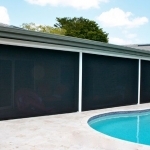 Over the past few years, Super Screen® has proven to be the most innovative technology available in screen protection for pool, patio or porch. 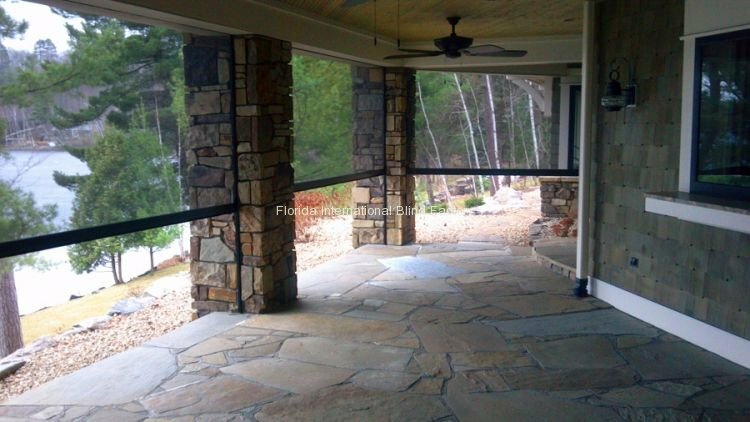 Superior performance characteristics as well as an industry leading 10-year limited warranty have served to make Super Screen® the choice for discerning homeowners. Anti-insect control 16/14 or 17/20 weave (combat no-see-ums).